All class rooms are air conditioned. Each classroom is designed to be airy, spacious and inviting, bathing in soft and conducive atmosphere for learning.They are fitted with modern furniture as well as electrical gadgets. Each class room is equipped with with smart—board and electronic methods of knowledge dissemination. A healthy body shall always have health mind. Keeping this in mind the school has extensive programmes for its students. 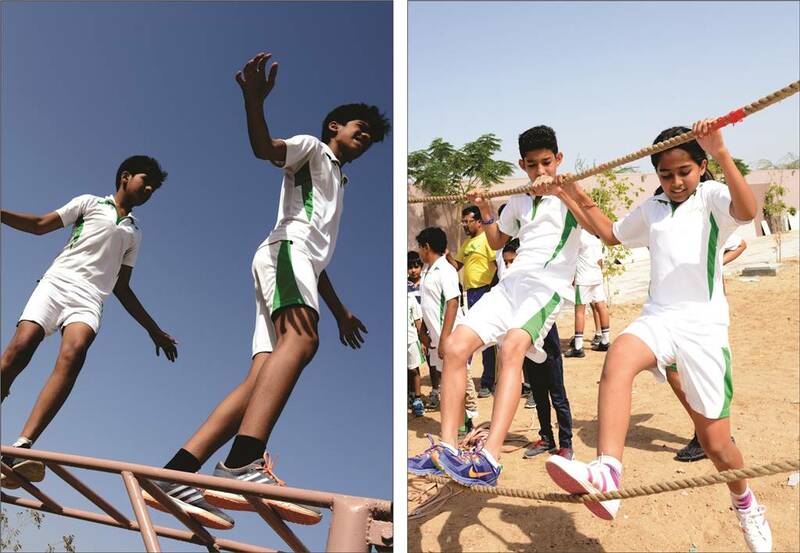 Its mandatory for each student to get out in the field and participate in a sport. 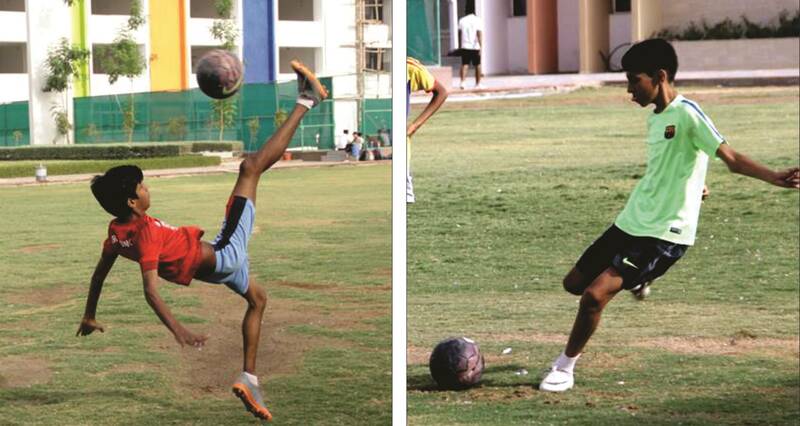 Each student will be given the sport of his choice after the assessment made by the Coach. Soccer is being taught by an international coach from Nigeria and the team is ready to play with other schools.The coach has been teaching all tricks and imparting his expertise to make the Bodhians be an excellent team. The school is well equipped with 25mtrs length pool. Swimming is a MUST for all the students except for those who are medically not quali?ed to get into water. 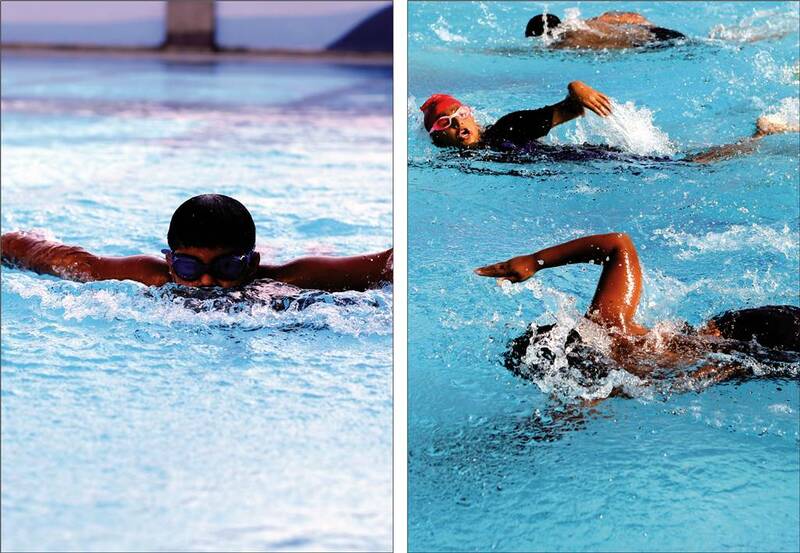 All students are given 70 minutes for the same so that they become trained swimmers during the season. Coaches are of National level and they have already proved by making the Bodhians win all three medals in different categories i.e. gold, silver and bronze.The school has a Splash Pool for the youngest Bodhians to splash around and feel comfortable with water around them so that they become pro?cient swimmers in time to come. 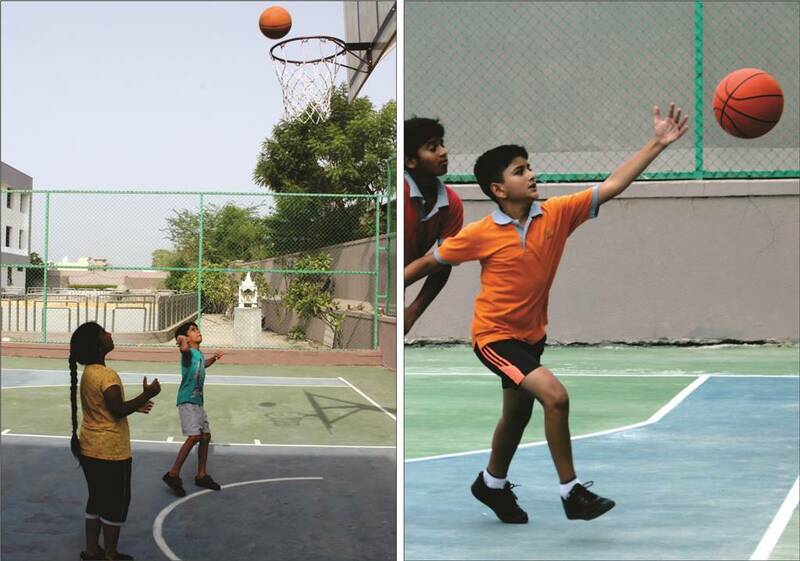 The school has synthetic court for basketball and the Coach is of National level.The different levels of teams have started to gear themselves for various competitions. 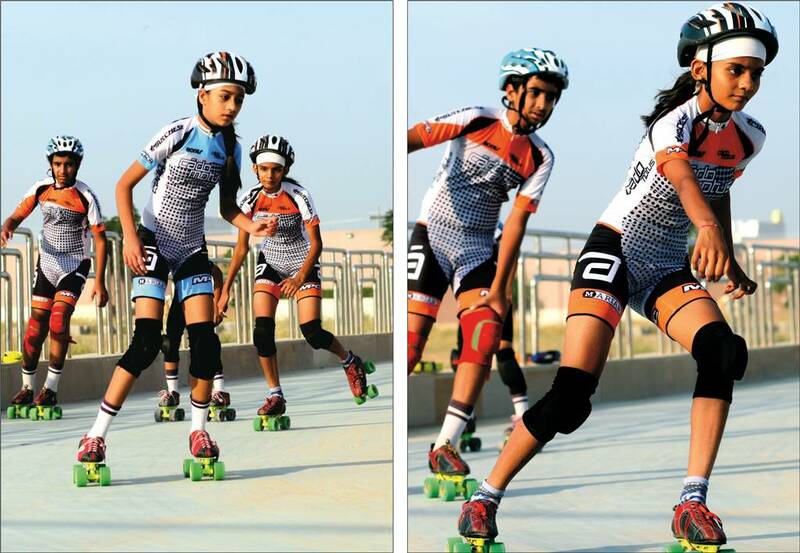 Skating is being taught by a Guinness World record holder and the school teams are ready to move out to prove their mettle. They are working on high speed on road as well as sychronised skating in the ring. 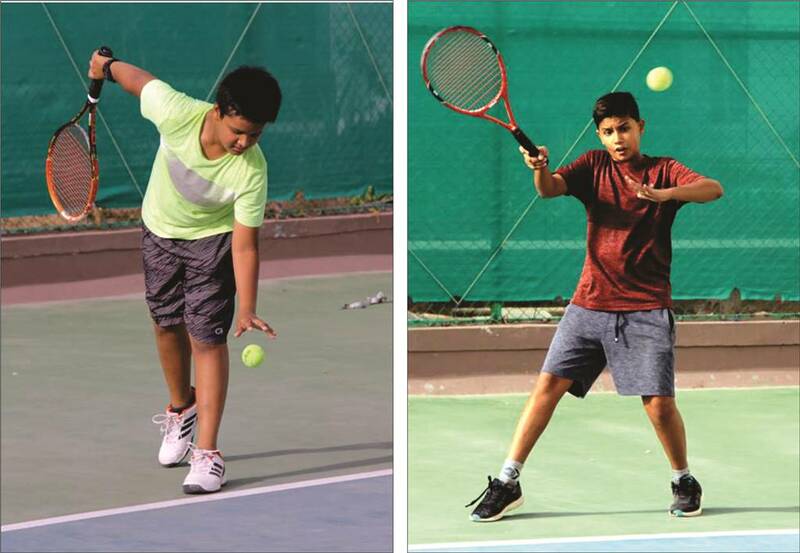 Tennis is being taught by the coaches from Mahesh Bhupati’s Tennis academy and the ?rst team was out who played for doubles and mixed doubles and also solo. 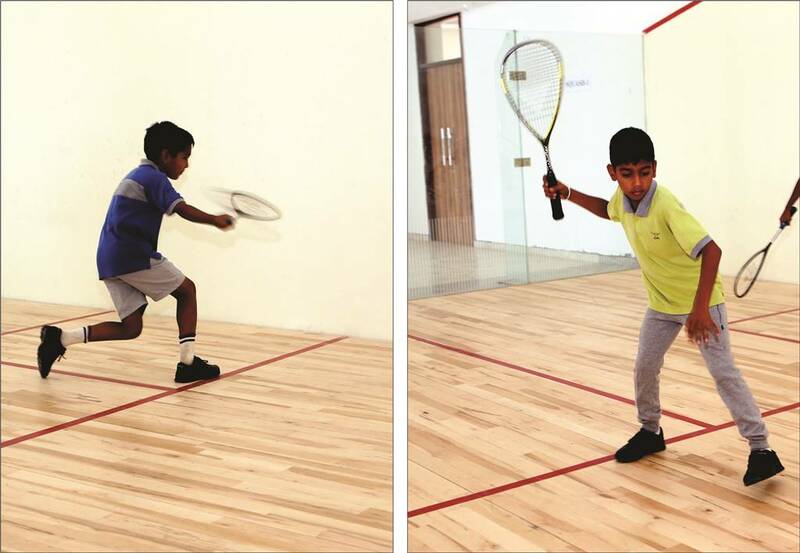 The coach is perfect to train the younger ones as well as adu|ts.The court is of Decoturf. Squash courts are world class and the coach is of national level. When the master and student would match each other then the results would be par excellence. Sports Gurukul a Mumbai based company for health and fitness for children from the age of 2.5 to 18 years is handling that in Bodhi International School. its programmes for students are based on US companies for ?tness. 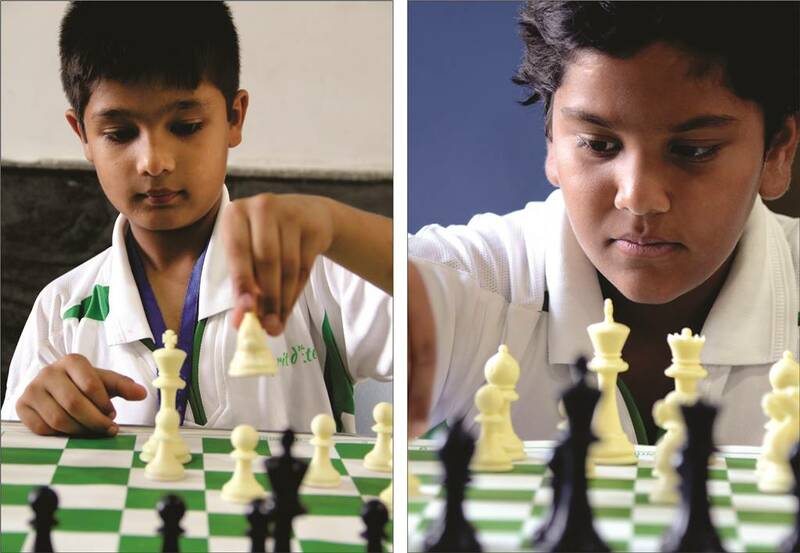 The school has Indoor Games for its students and they are Table Tennis, Chess and Carrom Board at this moment but we have plans to add more to this domain. I hear, I forget. I see, I remember. I do,I understand.The Science laboratory experiences provide opportunities for students to interact directly with the material or with data drawn, using the tools, data collection techniques, models and theories of science. Our labs are well equipped with the latest apparatus Studentsin a hands-on science programme will remember the subject matter better, feel a sense of accomplishment when the task is completed, and be able to transfer that experience easily to other learning situations. Science education aims to provide scientific literacy for all as part of a liberal education and to prepare students for further study, and research work. At Bodhi International School we remain committed to transforming the future of education and helping every student to succeed. Lego’s proven and unique system for learning has never been more relevant: a hands-on, minds-on approach– the core of which is the enduringly engaging and versatile LEGO brick – designed to help students take ownership of the learning process, enabling them to actively develop the problem-solving skills and collaborative outlook necessary to become creators, not just consumers. 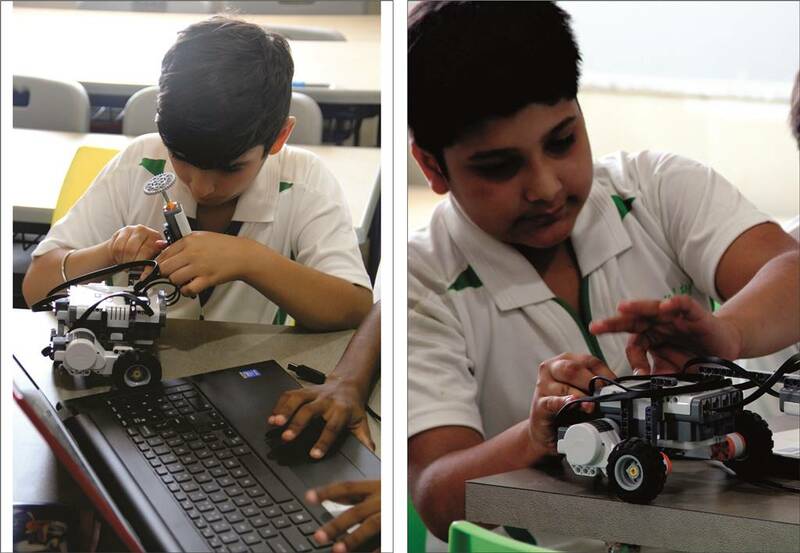 Although robotics may at first seem exotic, on closer examination it provides a natural fit with good pedagogy that emphasizes meaningful problem-based learning, integration and application of knowledge, hands-on learning in cooperative groups, and demonstrable mastery of new learning. It attracts students to content domains such as mechanics, electrical circuits, and applied mathematical reasoning that all too often are stumbling blocks for middle school students. Robotics engages students in complex, strategic problem-solving and higher-order thinking—a set of skills that is a high priority for 21st century education. What is more, this kind of problem-solving can be introduced in a gradual, self-motivated way, so beginner students can experience satisfying achievements right away and can quickly move on to new challenges in a continuous progression toward greater levels of sophistication. Our health unit is staffed by a full-time nurse who monitors the general physical development of our children and provides immediate first-aid treatment if needed. Arrangements exist for oxygen cylinder and nebulizer. Check-ups for dental, eyesight, weight and height are conducted on annual basis. The school has a fleet of air-conditioned buses at its disposal. Transportation plies throughout the town traversing through the lanes to make it comfortable for parents and also for Bodhians. The Vans and buses are manned by lady attendants to make sure the safety of girl students. The temperature is kept moderate in the buses so that the students don't suffer when they enter or get down and reach their four walls of home.